The podiatrists at American Foot & Leg Specialists have been leaders in the field of podiatric medicine and surgery for over 45 years and work hard to prevent, detect, and treat any foot and ankle problems. From routine checkups to athletic or work-related injuries, as well as, special treatments and surgery, our podiatric physicians are experts on all foot and ankle needs. They can help with diabetic foot care, corns, flat feet, nail and skin conditions, bunions, nerve testing, lower extremity wound care, pediatric care, and disability ratings. The goal of our podiatrists is to educate each patient and begin a targeted treatment program providing the highest quality of care available. With a caring and attentive attitude, our podiatric physicians and staff will ease any apprehension that a patient may have during their course of care. Our physicians build a patient/physician relationship on trust by providing every patient with all information needed to make the best choices about their foot and ankle health. Our podiatrists will work with each patient to develop a treatment plan that will ease pain, heal injuries and help prevent future problems along with correcting deformities and conditions which limit their lifestyles because of pain. 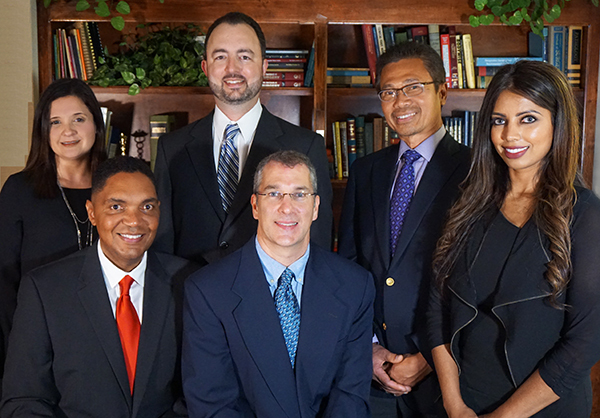 Our podiatrists, Loren K. Colon, DPM, FACFAS, Marieli A. Colon, DPM, Jeffrey P. Flash, DPM, FACFAS, Rodney Gadson, DPM, CWS, Rose James, DPM and Praya Mam, DPM are medical specialists who diagnose and treat conditions affecting the foot, ankle, and structures of the leg. The training of podiatric physicians includes human anatomy, physiology, pathophysiology, sociological and psychological perspectives, general medicine, surgery, and pharmacology. With their extensive training and experience, our podiatrists can correct foot abnormalities that prevent people from participating fully in their lives. Additionally, they are dedicated to helping older adults stay active, and active by helping them to keep their feet and ankles healthy. The feet and ankles are our specialties. If you have pain, itching, foot deformity, fungus, broken bone, or athletic injury, we are here for you. 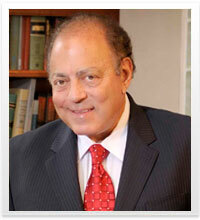 Dr. Paul Colon was the founder of American Foot & Leg Specialists and was the medical director for over 50 years. The focus of the practice has always been on diagnosis and treatment of foot and ankle problems. As a leader in the field of podiatric medicine and surgery, Dr. Colon worked hard to prevent , detect, and treat foot and ankle problems by training and hiring the best physicians specializing in podiatry medicine. Dr. Colon positioned their 4 locations in order to offer treatment in the southern crescent below Atlanta: Locust Grove, Stockbridge, Forest Park, and Fayetteville. He developed a state of the art outpatient surgery center in the forest Park location. This surgery center is a non-threatening, pleasant environment, and patients no longer have to go to a hospital unless absolutely necessary. They have every diagnostic piece of equipment for your healthcare needs: xrays, lasers, pain ultrasounds, fungal ultrasounds; anything that will give us the most accurate diagnosis and treat the condition in a quick and painless manner. Having their own outpatient surgery center in Forest Park, not only saved patients dollars and cents, but also saved the insurance carriers, which helps keep down health costs today, which unfortunately have been spiraling. As a pioneer in podiatric medicine, Dr. Paul Colon has helped so many people in this community to stand, walk, and stay active, no matter what stage of life they’re in. Dr. Paul Colon retired in 2017 and now American Foot and Leg Specialists is led by his son Dr. Loren Colon and Dr. Jeffrey Flash. At all four locations around the Atlanta Metro area, including the state licensed and fully accredited out-patient surgery center in Forest Park, our physicians utilize state-of-the-art diagnostic and therapeutic equipment including diagnostic ultrasound, portable x-rays, CO2 Lasers, nitrous oxide analgesia, and shockwave therapy. All American Foot and Leg Specialists locations south of Atlanta are open Monday through Friday. Contact any of our four locations, Forest Park, Stockbridge, Fayetteville, and Locust Grove, or click on the Make an Appointment button above to schedule an appointment today.